WILTON … 80 Km COMMUTE from CBD to become Sydney’s south-western fringe by 2050 with 15,000 homes to be built | COMMUNITY ACTION ALLIANCE FOR NSW (CAAN): HOUSING INEQUALITY WITH AUSSIES LOCKED OUT! 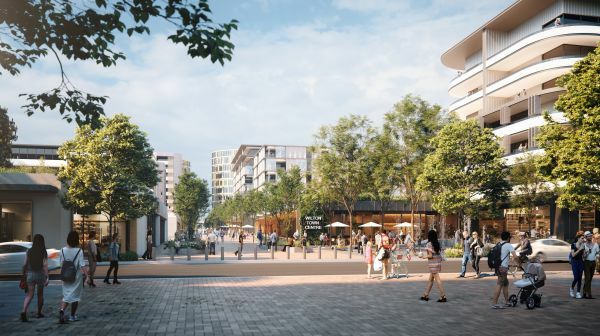 SATURDAY 29 SEPTEMBER Planning Minister Anthony Roberts announced a greenfield development site in WILTON that will deliver up to 15,000 homes and 15,000 jobs in the next 30 years in what’s being labelled Sydney’s new south-west 80 Kms from Sydney CBD! Mr Roberts, that’s piffling – it’s three fifths of nothing compared to the former 4000 square hectare habitat they had! Wollongong’s backwaters will soon replace Campbelltown as the outskirts of Sydney as urban sprawl pushes the final frontier 80 kilometres from the CBD. 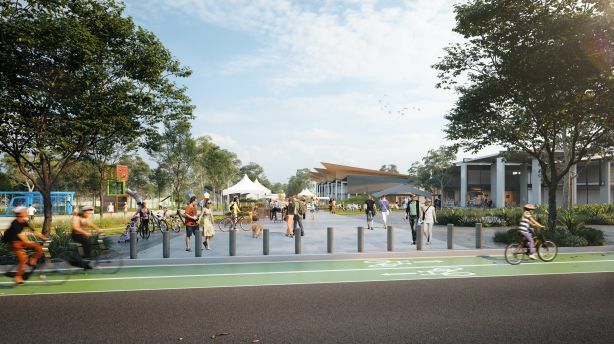 Planning Minister Anthony Roberts will on Saturday announce a greenfield development site in Wilton that will deliver up to 15,000 homes and 15,000 jobs in the next 30 years in what’s being labelled Sydney’s new south-west. Under the deal, developers will pay up to $770 million to deliver state infrastructure including roads, land for a bus depot, local schools, a medical facility, open space and environmental conservation measures. The levy will cost developers about $59,274 per dwelling as part of the Special Infrastructure Contribution. It’s more than triple the amount developers would pay per lot in the north-west of Sydney. “This provides certainty that funding for essential infrastructure will be provided at the same time as homes are being built,” said Mr Roberts. The 4000-square-hectare site will be the latest land release by the state government as part of more than 20 growth areas earmarked for development in Sydney to accommodate population projections of an additional 1.7 million people by 2036. An artist’s impression of the new Wilton school fields. “It will be a sustainable community with a green border of conservation areas framing the entire region and walkways, bike paths, open spaces, tree-lined streets, waterways and bushlands will define the healthy and liveable neighbourhoods,” said Mr Roberts. Executive director of the NSW Property Council Jane Fitzgerald welcomed the announcement but had some reservations on whether the contribution was too high. “There is a tipping point. If you pile on too many taxes and charges, two things happen. Either people don’t develop the area or the cost of the SIC gets added onto the price of a home, which means you’re adversely affecting housing affordability or housing supply, or both,” she said. “But at some point we have to say Sydney has to stop at X and I don’t think we can identify Sydney further than 80 kilometres and have people make a comfortable commute. Professor Peter Phibbs, head of Urban and Regional Planning and Policy at the University of Sydney, said it would be cheaper to build more densely in Sydney’s existing footprint rather than increase urban sprawl. “I wouldn’t go as hard [on housing targets], the more dwellings down there, the more road infrastructure you have to build and who is going to pay for that, it’s going to be the taxpayers in NSW,” said Professor Phibbs. Mr Roberts said the government was committed to protecting native wildlife and vegetation as the blueprint for this new growth area identified further areas of conservation land. “Strategic planning to ensure our iconic wildlife and vegetation thrives is happening on a large scale,” Mr Roberts said. Several other measures will be included to protect koalas, including identifying and conserving koala corridors, koala fencing requirements, and revegetation. A Department of Planning and Environment spokesperson said there were no plans to incorporate Wollongong into Sydney. The proposal is on public exhibition for community consultation until November 9.